Containers are the biggest topic in the computer data world at the moment. This is mostly because containers allow user to pack more data workloads onto a single physical server and also scale up capacity for new jobs in a matter of seconds. Theoretically speaking, this means that users don’t need to buy a lot of hardware or build or rent large data center spaces, which also means business owners are going to employ fewer people to manage everything. One thing that should be clear from the get go: Docker containers are very different from Virtual Machines, as we are going to see in the next section. Docker hosting is an open source hosting platform that is made to build, allocate and run applications within a container. A container is not a physical object that can be seen or touched. In essence, it’s a virtual box that stores applications with dependent components and services. When compared to the old school virtualization technologies of hypervisors, Docker eliminates the need to have separate guest Oss for individual virtual machines. The way Docker works is that it implements a high tier API to offer super lightweight containers that run all processes in isolation. This occurs on the kernel’s functionalities, in order to ensure that resources such as CPU, block I/O, memory, network and more are confined. 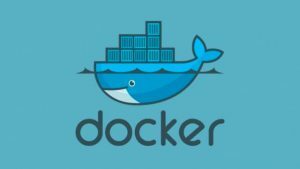 Docker hosting automates the deployment of applications inside the particular software defined containers that provide abstraction of OS-level virtualization and an added layer of automation on Linux. Docker containers are created within seconds unlike Virtual Machines, which have to retrieve about 20GB of operating systems from the storage. All the workload in the container utilizes the hosting server’s OS kernel making it boot within seconds as it doesn’t have to load the operating system. This means that web users can benefit from the extra abstraction layer of Docker containers without worrying about the overheads. Additionally, users can have many containers running on one physical machine compared to only having Virtual Machines. This is what really sets Docker hosting apart from other forms of web hosting. Being able to apply version control on all containers and being able to view, track and even revert changes in an amazing way to tune software development, something that is made possible by Docker container hoisting. One of the major advantages of using Virtual Machines is their ability any possible platform with their own personalized configuration on top of the user’s infrastructure. Docker technology offers the same capability but it goes beyond that because it doesn’t have the overhead of virtual machines. This is great because it allows users to put their environment as well as the configuration in code and then deploy it. The pure freedom to run applications across several PaaS without having to make any changes is what makes Docker containers so amazing. There are so many reasons why people end up running a number of applications on one machine. Running these applications in different containers makes this possible. Web users are advised to find out the exact Docker container services offered by the host providers first, to ensure they are in line with their needs. Once this is done, they can go ahead and subscribe to the package that works best for them.